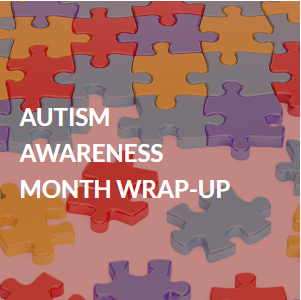 As Autism Awareness Month draws to a close, we wanted to highlight some of the exciting developments in autism research happening right here in Connecticut, home of Sigmund Software headquarters. Thankfully, we’ve come a long way in our understanding of autism. While certain aspects of it remain a mystery, there’s a lot we know now that we didn’t know even a decade ago. This blog is a great example of the difference even a year can make. While the benefits of early intervention remains one of the biggest breakthroughs in autism treatment in particular, plenty more discoveries are on their way thanks to a program at UConn led by Debra Fein. Professor Fein’s “Early Detection Study” looked at the effectiveness of certain ASD screenings at pediatrician offices for children between 18 and 36 months. This, in turn, led to her “Early Detection Project,” which has called for screening children even younger. It also explores how additional training may help pediatricians know what to look for. As we grow in our knowledge of autism, so do the programs and opportunities for those living with ASD. We applaud the efforts happening right here in Connecticut and have faith that by next Autism Awareness month, we’ll have even bigger breakthroughs to celebrate.